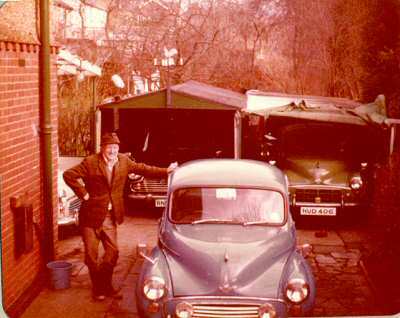 Here's the Morris fleet in December 1981, 3 Minors and an Oxford. 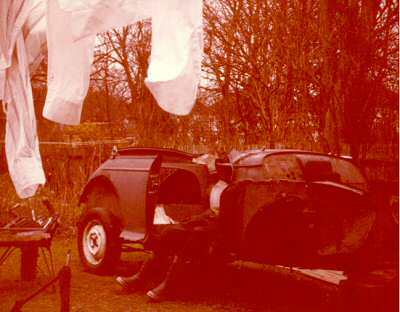 The green Minor on the right is a 1951 Split Screen (HUD 406), bought in 1980. 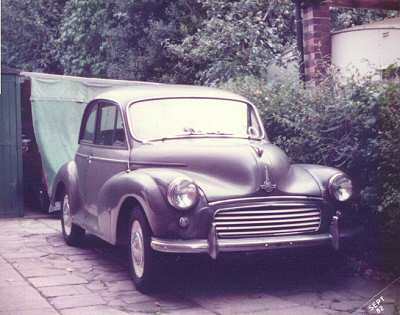 I bought this Morris Minor while I was on vacation in England in 1982. I needed a good interior, so I bought it, stripped the interior out and resold it, all in less than a week! 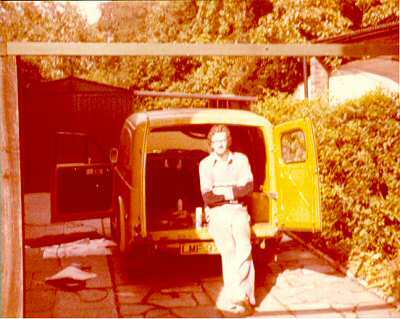 Dad with the D reg saloon in 1982. 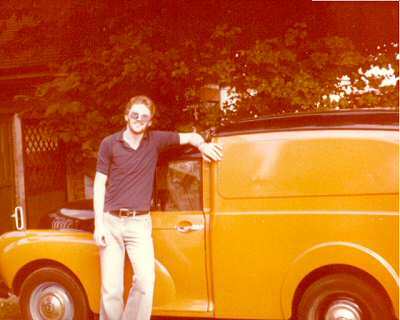 Kevin bought a yellow 1972 Post Office Minor van (LMF 973M) in 1979 and painted it orange and black that same year. 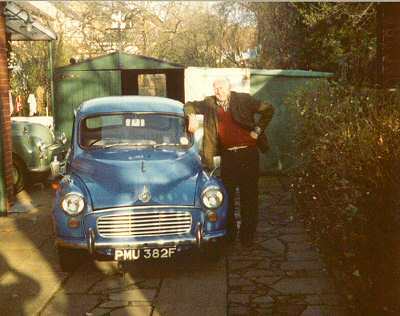 We replaced the rear differential with one from a car so it could get a higher speed. 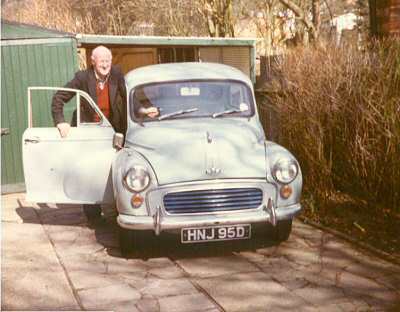 Andy's Morris Minor is still going strong in 1983. 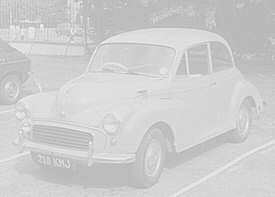 Another parts car bites the dust !!!! !